There's No Room For Nostalgia In The Tech Business : Blog Of The Nation Apple and Motorola revolutionized the way we communicate. Now, as each company loses significant pieces of their identities, both face doubts about whether or not they can survive. Then-Apple CEO Steve Jobs in March during an event to launch the iPad 2. After his resignation, many analysts question whether Apple can thrive without him. I still remember the first cell phone at my house. An early Motorola, it came in a bag about the size of a Kleenex box that held the battery. A few years earlier, I had typed my first computer commands on the keyboard of an Apple IIe. I still have a cassette tape that stored some of those early programs. In the last few days, Apple lost its iconic CEO; Motorola's cell phone division lost its independence. Cycles of innovation have long been fueled by loss and renewal. Though, rarely does so much ground shift so suddenly. Steve Jobs is generally considered a genius of marketing and industrial design. He reinvented the personal computer, digital music player, tablet PC, cell phone and animated movie; and devised a way to get people to actually pay for downloading music. He will no longer run the company he co-created, Apple. Jobs' announcement comes days after Google said it plans to buy the cell phone division of Motorola — the company that invented the handheld mobile phone nearly forty years ago. Google had little choice. The deal gives it a beachhead — and a trove of patents — in its smart phone war with Apple. While identity crises may haunt Apple and Motorola in the short term, nobody's writing either company's obituary. The two will never be the same, but chances are they will succeed. Their strong cultures and legacies of game-changing innovation will see to that. Especially as they compete for more of the same customers. Most people are lucky if they can change the world in one important way, but Mr. Jobs, in multiple stages of his business career, changed global technology and media in multiple ways on multiple occasions. And that changed the way people live. Mossberg also reminds us that, of course, Steve Jobs is very much alive and will continue to play a significant role in product development and strategy at Apple. Jobs also filled every level of the company with talented engineers and managers who are at least partly responsible for the hit products we've seen in recent years. Still, nobody else is Steve Jobs. And his resignation marks the end of an era. 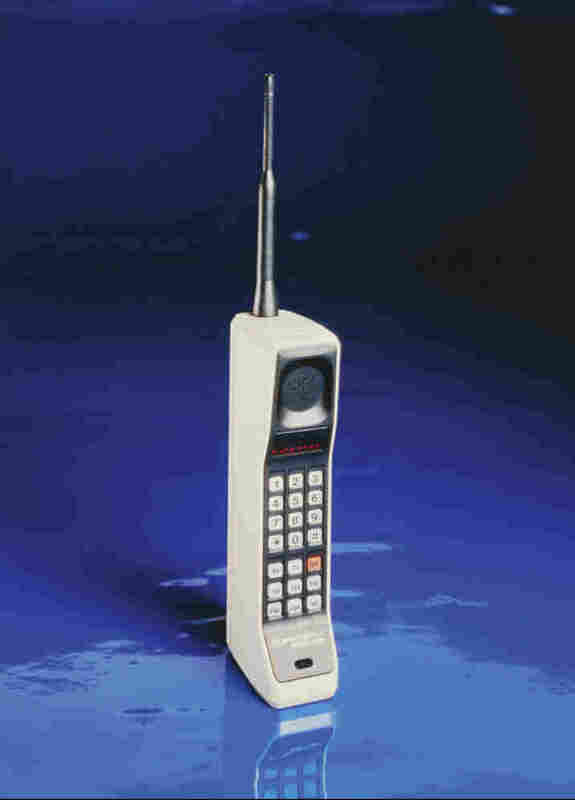 The first handheld cell phone, the Motorola DynaTAC 8000X. Motorola's Martin Cooper made the first handheld cell call in 1973 — to inform one of his competitors of his breakthrough. While Steve Jobs and Apple redefined what we consider a mobile phone, credit for inventing the handheld cell phone goes to a former Motorola executive named Martin Cooper. His patent for that revolutionary 1973 device still hangs proudly in the company's Chicago-area office. "It might sound a bit exaggerated," James Berkow wrote in the Financial Post, "but anyone of telephone-purchasing age in 1984 when the first Motorola DynaTAC portable phone hit store shelves might argue 'revolution' is not strong enough. The introduction of the device, first displayed as a prototype by Motorola scientists more than a decade prior, unleashed a tidal wave of rival products from virtually every electronics manufacturer on Earth; much as Apple Inc. did with the iPhone in 2007, only without any foundational mobile device market on which to gain a foothold." For the first time since that invention, Motorola's cell phone division will no longer operate as a stand-alone company. Technology companies swallow each other all the time. "It's a natural tendency, the new eating the old," former Motorola chairman and CEO Edward Zander told Bloomberg's Crayton Harrison. "The story's written every few years in our industry." HP devoured Palm. AOL chewed up, and spat out, Time Warner. EBay gobbled up Skype. Cingular consumed AT&T Wireless. Still, the Motorola deal feels different. "It's like, thanks for everything you did in the 20th century, but you're being bought by a search engine," Roger Entner, a telecommunications industry analyst and founder of Recon Analytics, told the New York Times. The two companies could not be more different. Google's initial claim to fame was a search box on a spartan Web page. It deals in data and virtual services. Motorola's a very real-world company that builds gadgets, ships those products around the globe and sells them in bricks-and-mortar stores. Motorola's storied history dates to the 1920's. By the time Google was founded in January 1996, Motorola was already unveiling its StarTAC line. "Everybody remembers in their youth some product that Motorola made," Cooper says. He suspects that Google cares little about manufacturing cell phones. When I spoke with him he told me he feels "a little sadness" about the deal that will put the company he helped make famous under the Googleplex. It's all just a sign of the times, Amir Efrati and Spencer Ante explained in the Wall Street Journal. "The deal underscores a long-term shift in the power balance in technology from old-line manufacturing companies to younger, nimbler standard-setters that came of age during the Internet era." In other words, there's no room for nostalgia in the tech industry. Apple's success over the years often appeared directly proportional to the involvement of Steve Jobs as CEO. With his resignation, a number of analysts question the company's ability to maintain its i-mojo. CNET's Brian Cooley told NPR's Talk of the Nation: "Steve Jobs is aligned and basically synonymous with Apple's products, Apple's image, Apple's message about how you live in this digital age.... You can't replace what Steve Jobs does." Slate's Farhad Manjoo argues they don't have to. 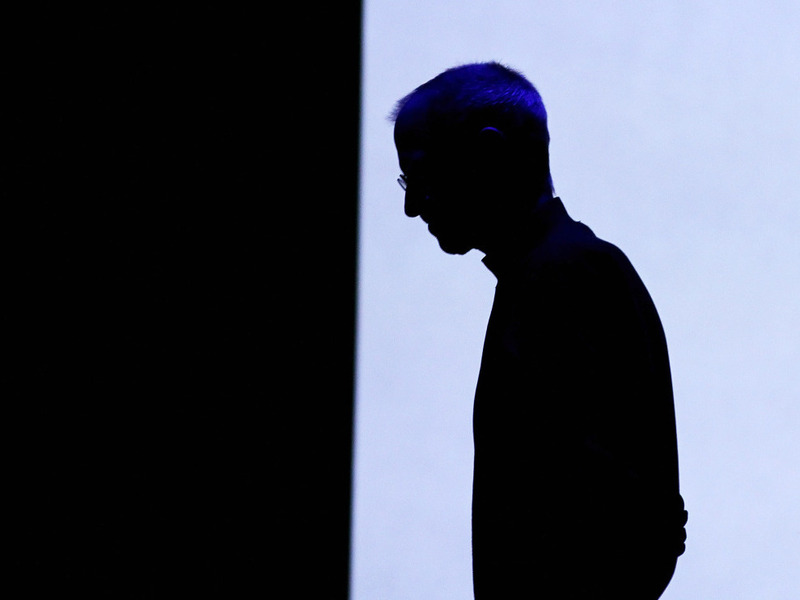 Apple isn't going to die now that Steve Jobs has resigned as CEO. It's not even going to stumble. I don't mean to dismiss Jobs' contributions. He has been as central to Apple's success as one man has ever been to any firm in the history of business. But Jobs' achievement wasn't just to transform Apple from a failing enterprise into a staggeringly successful one. More important was how he turned it around — by remaking it from top to bottom, installing a series of brilliant managers, unbeatable processes, and a few guiding business principles that are now permanently baked into its corporate culture. Apple today operates in the image of Steve Jobs — and it's going to remain that way long after he's gone. Wall Street seemed to agree with that assessment. Apple's stock closed down less than one percent on Thursday, the first trading day after Jobs' announcement. Martin Cooper hopes a similar culture of success going back generations at Motorola will help his former company reclaim its own Moto mojo under Google. "Here you've got a company that clearly has a superior vision with regard to applications and how those applications are delivered: Google. And a company that's really good at hardware in Motorola." If Google can give them the cache' and the cash they need to do what Motorola does best, along with a healthy dose of independence, he says the phone maker "can survive and prosper." Amir Efrati and Spencer Ante also see reason for optimism, and believe the Motorola deal will make Google operate much more like — and compete better with — Apple. For consumers, the deal could usher in new advances by letting Google integrate its Android software more tightly with Motorola devices, taking a page from Apple.... In the same way that Apple has created hit devices by integrating software and hardware into a single experience, the deal for Motorola gives Google a way to create a consistent experience across devices, including phones, tablets and TVs. Out of crises often rise opportunities. Martin Cooper believes,"the big mobile revolution has yet to come." Of course they will stumble. Companies often do after major changes. But Motorola under Google and Apple under Tim Cook are well placed to help create the next big wave of innovation. "The essence of that revolution will be collaboration," Cooper says. Instead of social media, "call it industrial media... commercial media. You're going to find people collaborating with tools that look very much like Twitter, Facebook and LinkedIn. There's going to be a huge surge in productivity." All of it driven by wireless. The first cell phone I used came with a bag to hold the battery. A few years later, exponentially more powerful phones fit in a shirt pocket. Today's iPhone and Droid dwarf the computing power of that first Apple IIe I used. In the span of ten days, two companies that revolutionized their industries and changed the way we live each lost a major piece of their identities. What Apple and Motorola and the millions of people who buy their products hope they have not lost are the histories, cultures and legacies that made them pioneers in the first place.